Categories: Prints, Pet Portraits. Tags: Alsatian, champion, Dog, German shepherd, sable, show dog. 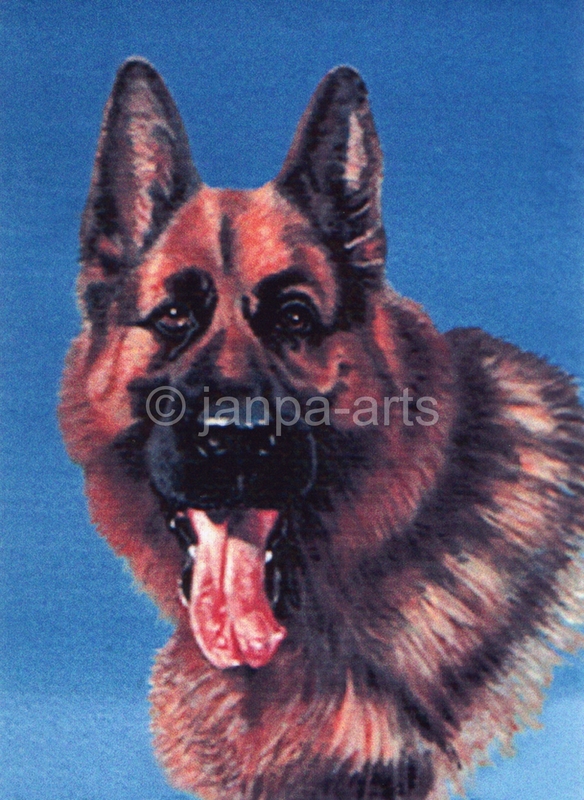 Originated in Germany medium to large sized dogs also known in the English language as German Shepherd dogs.